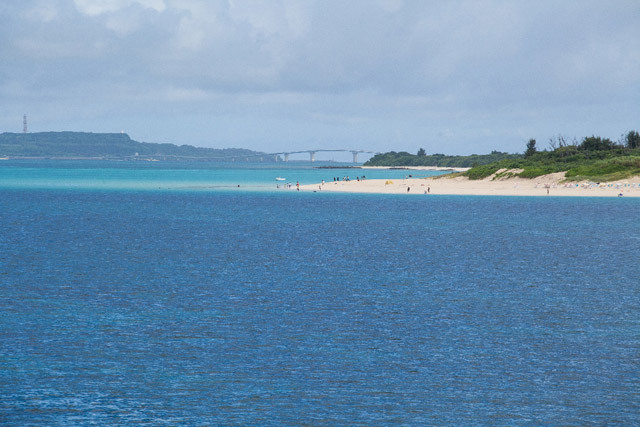 Kouriohashi Bridge is a 1,960 meter-long bridge that links Kouri-shima (Kouri Island) with Yagaji-shima (Yagaji Island). 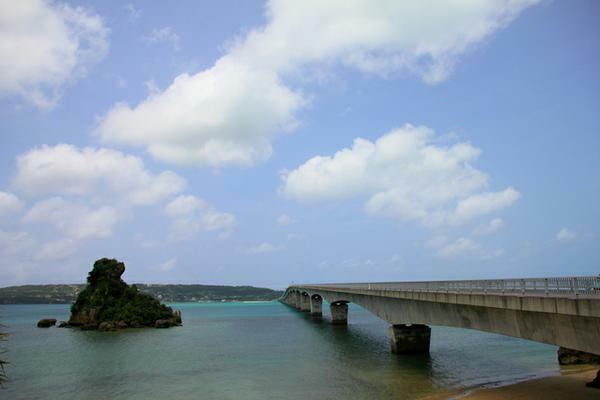 Since the Bridge opened in 2005, it has become a very popular place to enjoy an exciting drive in which you seem almost to be driving across the sea itself. 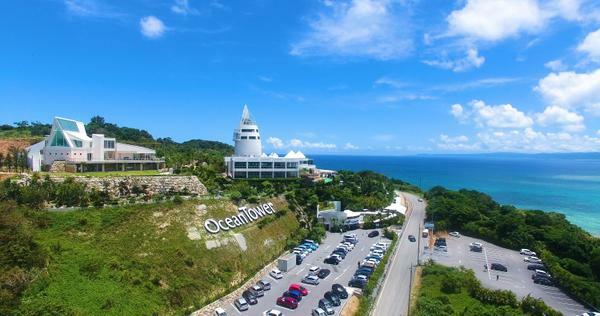 Driving over the bridge really is a very pleasant experience, as you get superb views of the emerald green ocean and can feel the sea breeze.